Finite Element Analysis (FEA) is an intelligent and computerized method for forecasting how a product or engineering component will react to real-world forces like vibration, heat, fluid flow and other physical effects. FEA predicts whether the products will fail, collapse, wear out or work the way it was designed. Basically, it is an advanced system used in design and to augment/replace experimental testing. FEA is practiced in almost all engineering disciplines. It is often an alternative to the experimental test method set out in many standards. The idea is that you can reach an approximate solution to any complex engineering problem by dividing the structure/component into smaller more manageable (finite) elements. FEA Software is used in many engineering disciplines for estimation of structural strength and behavior, modeling, simulation, and design optimization. It is also used in Piping Design for Finite Element Analysis where ‘rigidity’ and not ‘flexibility’ is a governing factor. Experienced piping designers and engineers are aware of the limitations of beam element software(CAESAR II for example) for specific scenarios and problems. These software applications may indicate a stress or loading issue that may not exist and sometimes fail to point out the issues that there are. A typical example is when larger diameter pipes and their intersections are inadequately modeled by beam theory. There are also limitations and errors within the standards and codes applied, such as B31 codes. It is well-known that the stress intensification factors (SIF)s and flexibilities of intersections are inaccurate (when the branch and run pipe diameters differ). These inconsistencies unnecessarily shoot up costs to fix issues that don’t exist and also unsafe design when results don’t accurately display problems that do exist. SIFs indicated by various codes are limited in their scope and often off the mark. For instance, for attaching pipes or structural supports to a bend, what should the SIF be? Piping codes are inadequate to address these and other practical engineering challenges that designers face daily. 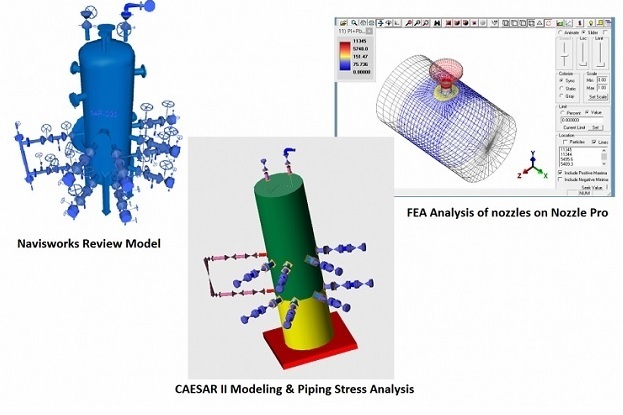 Pressure Vessel FEA and Piping FEA offer practical benefits to many of these scenarios. FEA Software Applications are created to address Piping And Pressure Vessel problems that beam element theory and code limitations cannot resolve. In piping and pressure vessel geometries that have large D/t ratios and/or external pressure, buckling is a cause for concern. Finite Element Analysis of Pressure Vessels helps analyze buckling with traditional bifurcation and elastic-plastic collapse study. Through-the-wall thermal gradients often result in significant stresses. FEA Software can analyze steady state transient thermal stresses. When Is It Good To Conduct Piping FEA? To check for any nozzle loads (WRC 107/297 are not comprehensive and often inaccurate). For piping or pressure vessels with D/t rations more than 100. To estimate SIFs and flexibilities accurately for your piping analysis. For external loads on saddle supported vessels. For compliance with code requirements for buckling in complex systems. To calculate realistic stresses for nozzles with external loads. When your piping systems exceeds D/t>100. Piping code rules don’t cover larger D/t systems. Conducting accurate fatigue analysis for nozzles or attachments. 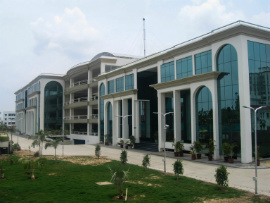 If the design isn’t governed codes and standards – large angle cones, rectangular openings, etc. As change in rate of technology accelerates, so does the need for applicable data that clients use to build their engineering plants and components to run their operations sustainably and safely. Simply using old and somewhat outdated codes and standards may ensure compliance but not the desired efficiency and accuracy. Integrating FEA tools in your piping design and modeling software enables you to address with material, load, geometry and other complex issues that fall outside the code stipulations or aren’t properly covered in WRC-107, WRC-297, Zick calculations, and other industry standards. The analysis also helps in providing FEA Solutions for ASME Section VIII- Division 2 requirements. Looking for the reliable Finite Element Analysis (FEA) Services for pressure vessels & piping system at your plant? We have the expertise in FEA services for many use cases.